Indian Navy SSR 02/2018 Online Application is invited for Sailors for Senior Secondary Recruits SSR 02/2018 for August 2018 Batch. The application is invited only for unmarried male candidates who have passed their class 10+2 and born between 1 February 1997 to 31 January 2001. The registration for the India Navy SSR 02/2018 batch has started and the candidates are suggested to follow the link given towards the end of this page. This is the application for Indian Navy Sailors for SSR 02/2018 Batch Commencing from August 2018. This page gives the complete information about the Indian Navy SSR 02/2018 which comprises the details such as eligibility criteria, application process etc. Candidates are informed that No Drive to take place in North-East for enrolment as sailors for AA, SSR, MR 2018 batches. All candidates have to apply through online mode only. Latest Update: Indian Navy SSR Admit Card is released for August 2018 Batch on 21 Feb 2018. Download Navy SSR Admit Card August 2017 21 Feb 2018 - Released! The required age of the applicant should be between 16 years and 20 years and their date of birth must fall between 1 February 1997 to 31 January 2001. The Candidate must have passed their Class 12 or any other qualifying examination to be eligible for Indian Navy SSR 02/2018 for the recruitment of 2018 batch. The candidate should have studied Maths and Physics as the compulsory subjects in Class 12 and Chemistry, Biology, and Computer Science as one of the optional subjects from a board recognized by Central/State Government. The registration for the Indian Navy SSR 02/ 2018 has started, the eligible male candidates are suggested to apply through the online mode by following the given link below. It is to be noticed that there is no offline procedure for filling up the form. Hence, the candidates have to make their entry through online mode only. The last date to fill the application form is 10 December 2017. Therefore, the candidates should fill the form on or before this date. Prior to filling the application form, the candidates are required to keep the copies of Class 10 & 12 Marksheets. The fields marked with the asterisk sign are mandatory to be filled. Applicants must enter their Email ID compulsorily on which the future references will be made. Before clicking on the submit tab, make sure that all the details have been duly filled and correct as per your best knowledge. The application forms received without the photograph will be automatically rejected. The candidate is required to take two photocopies of the duly filled application. One self-addressed envelope measuring 22*10 cms with a Rs10 stamp stuck on it has to be sent to any one of the following addresses given below in the table. The candidates after filling up the application form should ensure that the details filled by them are correct in all aspect. After checking all the details, the candidates are suggested to make the submission of the application form by clicking on the "Submit Now" button. Once the application form gets submitted, the candidates will not be allowed to do any changes. Indian Navy SSR 02/2018 Admit Card will be available from the end of January 2018. The admit card can be downloaded by following the link given below. No individual call letters will be sent to any of the candidates for the written exam. The Admit card will be only issued to the shortlisted candidates which are to be downloaded and a printout of it is to be produced at the examination centre. 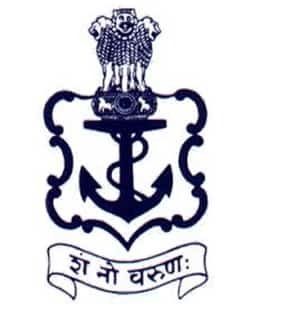 Indian Navy SSR Result 02/2018 for Sailors: The select list will contain the names of the candidates who qualify all the tests depending upon the available vacancies. The selected list of candidates will be displayed on www.nausena-bharti.nic.in. Online application form will be further inspected for all other prospects and can be rejected if not found correct or as per the prerequisites. The candidates will be shortlisted on the basis of their performance in Written Test, Physical Fitness Test (PFT) and fitness in the Medical Examination. Stage 1- Written Test: The first stage of selecting the candidates is written test. The candidates who are willing to get selected in Indian Navy for SSR need to go through the written test. Results of the written test will be announced on the same day and those who qualify will go PFT and Recruitment Medical Examination which takes place in a day or two. Stage 2- Physical Fitness Test: Those candidates who qualify the written test will have to undergo the Physical Fitness Test (PFT) which includes the following. However, the proficiency in sports, swimming, and extra-curricular activities are desirable. Weight - Proportionate to height and age +_10% acceptable. The candidates who have been declared medically unfit during the medical checkup can appeal for the specialist opinion in a Military Hospital on payment of Rs 40 by Military Receivable Order (MRO) on the treasury of the government within 21 days. Tattoos: Permanent body tattoos are only permissible if they are on the inner face of the forearms. Sections: There will be four sections i.e. English, Science, Mathematics, and General Knowledge. The student is required to pass in all the sections and in aggregate. The candidates are required to carry all the documents in original at the time of written examination. Indian Navy SSR 02/2018 written test will be an objective type paper in either in Hindi or English. The questions asked in the exam will be of 10+2 level. The Indian Navy offers the pay and allowance to the sailors who get selected for the post. The pay and allowance include the promotion, prerequisites, insurance cover etc. The complete information regarding the Pay & Allowance grant by the Indian Navy is given below. During the initial training period, the stipend of Rs 5,700 pm will be admissible. On successful completion of initial training an amount equal to the minimum of scale as mentioned below, less stipend already paid, shall be admissible from the date of commencement of service. On completion of initial training, they will be placed in the Pay Band Rs 5,200-20,200. In addition, they will be paid Grade Pay at Rs 2,000 plus MSP at Rs 2,000 plus DA (being revised as per 7th CPC). Promotion prospects exist up to the rank of Master Chief Petty Officer-I (equivalent to Subedar Major) with pay scale of Rs 9300 - 34800 plus Grade Pay of Rs 4800 Plus MSP at Rs 2000 plus DA (being revised as per 7th CPC). Opportunities for promotion to commissioned officer also exist for those who perform well and qualify the prescribed examinations. Sailors are entitled to medical treatment, Leave Travel Concessions for self and dependents, Group Housing Benefits and other privileges. Sailors are also entitled to Annual and Casual Leave, Children Education and House Rent Allowances. Post retirement benefits include pension, gratuity and Leave encashment. The Indian Navy also provides the Insurance cover of Rs 37.50 lakhs for all sailors to protect and make the future safe of the sailors. Training: The training of the course will commence in the month of February 2018 which will contain 22 weeks basic training at INS Chilka followed by professional training in the allocated trade in various Naval Training Establishments. Discharge as Unsuitable: The sailors undergoing the training are liable to be discharged as "Unsuitable" due to unsatisfactory performance at any time during the training. Initial Engagement: The initial engagement is subject to successful completion of training and is for a period of 15years. Indian Navy SSR Result 2018 - Declared!